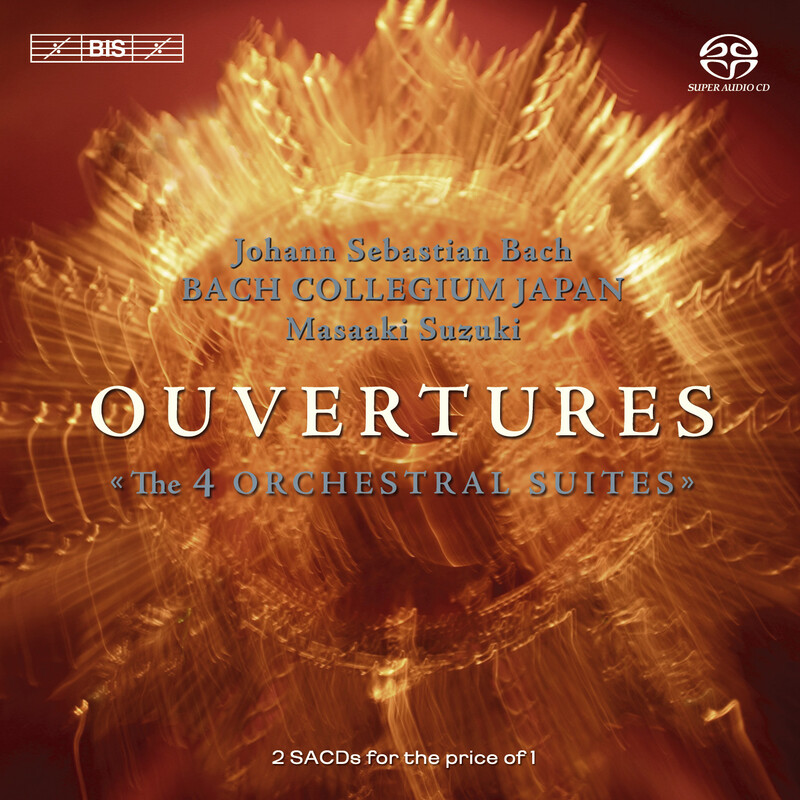 In between volumes of their series of Bach Cantatas, Masaaki Suzuki and the musicians of Bach Collegium Japan has taken the opportunity to record some of J.S. Bach’s most well-loved works: the four orchestral suites. 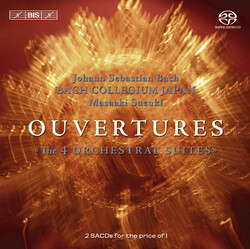 Termed ‘Ouvertures’ by Bach himself, they were composed at different times during the composer’s life, and never intended to be regarded as a set. With his use of the word ouverture, Bach signalled that these works were so-called overture suites in the French tradition, with the bourrées and gavottes that had become the greatest fashion all over Europe as a consequence of the glorious reign of Louis XIV in Versailles. But as with everything Bach touched, he set his own stamp on the music, allowing Italian influences play in the non-dance movements and in the concerto-like structure of, for instance, the B minor suite with its soloistic flute part. Badinerie and the rest of the suite is performed by flutist Liliko Maeda, member of the BCJ and often noticed for her contributions in the Cantata cycle. Among the other members of the ensemble who get an opportunity to display their individual skills more openly than usual are Toshio Shimada (trumpet), Masamitsu San’nomiya (oboe) and Natsumi Wakamatsu (violin), while Masaaki Suzuki directs the proceedings from the harpsichord. With a playing time of some 99’45 minutes, the four suites are released in Surround Sound on two SACDs sold for the price of one disc. A wonderful opportunity to get further acquainted with a wonderful ensemble – while listening to wonderful music. natürlichen musikalischen Fluss, ohne alle phraseologischen Künstlichkeiten.